Crushed pineapple, chopped pecans, green onions, and bell pepper flavor this delicious cheese ball. 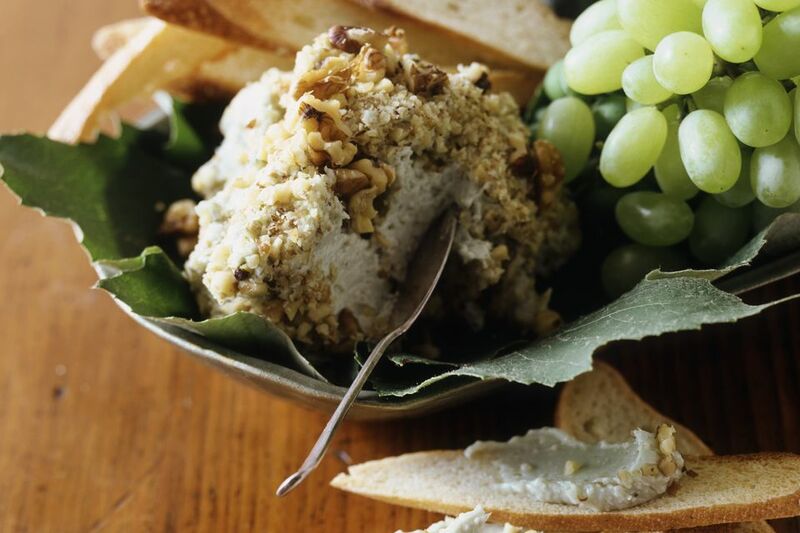 The appetizer cream cheese spread is shaped into a ball and then rolled in chopped pecans. This has long been a visitor favorite, and for good reason! This is a delicious cream cheese spread for a party or gathering. Arrange buttery crackers, bagel chips, or crostini around the cheese ball and have plates and napkins available for guests. A plate of small slices of ham would be wonderful with this spread as well. Make it the day before or make it just a few hours before the party. It's delicious either way. In a bowl combine cream cheese, drained crushed pineapple, chopped bell pepper, chopped green onion, seasoned salt, and 1 cup of the chopped pecans. Mix well to blend ingredients. Chill the cream cheese mixture in refrigerator until it's quite firm and then shape into a ball. Return it to the refrigerator until serving time. Put the remaining chopped pecans in a container. Cover and set aside until serving time. Just before serving, roll the cheese ball in the remaining cup of chopped pecans. Serve with assorted crackers or with simple baked crostini slices (see below) or croutons. It would be a delicious spread to serve with slices of ham as well. Makes about 3 cups of pineapple cheese spread. Slice a narrow French bread baguette thinly on the diagonal. Brush both sides of each slice with good quality olive oil. If desired, sprinkle with sea salt and freshly ground black pepper. Arrange the slices on a foil or parchment paper-lined baking sheet. Bake in a preheated 375 F oven for 5 minutes. Turn the pieces and continue baking for 5 minutes longer. If desired, sprinkle with Parmesan cheese just before it's done. Instead of chopped pecans, use two cups of chopped walnuts in the recipe. Finely chopped red onions may be used as a substitute for the green onions. Add a few tablespoons of chopped fresh parsley or cilantro for additional flavor and color. For festive holiday color, use a combination of sweet green and red bell pepper in the spread.